Realtor.com has launched “Home Made,” it’s first-ever company blog that gives consumers a “behind the scenes” look at the inner workings of the site from the point-of-view of realtor.com employees. The blog will be used to share stories about new products, product tips and tricks, corporate initiatives, and insights from real estate professionals about the homebuying and selling journey. Some of the initial stories feature products and tools such as Sign Snap, iMessage and Matterport 3D, and explain community initiatives with nonprofits Spark and Move for Hunger. The blog also includes employee profiles, the first of which spotlights Chief Product Officer Chung Meng Cheong. The Share Your Success Story section. 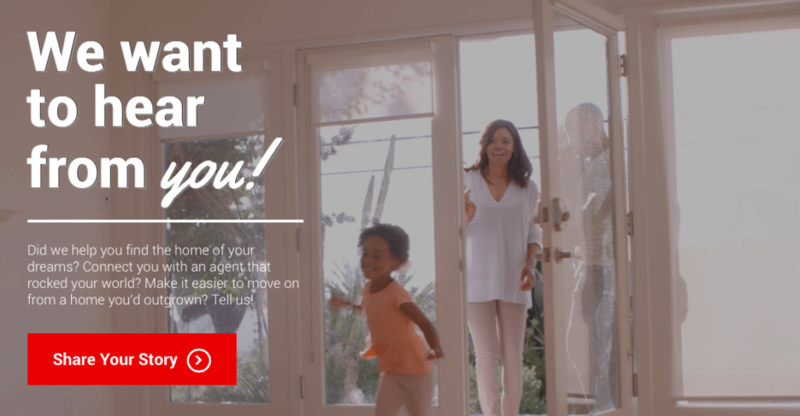 Although the blog primarily focuses on providing an inside look of realtor.com, there are opportunities for readers to share their journey to homeownership as well as consumer feedback on the “Real Stories” section. To submit a story, readers must click on the “Share Your Success Story” button and fill out the form.